According to a market report by Arthur D. Little (ADL), the battery market is expected to become a (USD) $90+ billion sector by 2025, and that new innovations, such as solid-state electrolyte lithium-ion (Li-ion) batteries, will eventually replace existing battery technologies. Although lead acid batteries were the dominant form of rechargeable batteries, Mordor Intelligence predicts the Li- ion market is likely to be higher than Lead-acid from 2020 onwards, driven predominantly by the automotive & industrial sectors. CSA Group will evaluate or test your projects including cells, packs, appliances and tools, e-mobility devices, and energy storage systems at our state-of-the-art laboratories. We can also conduct an evaluation in the field or at a manufacturing location if required. As a trusted expert, we provide the knowledge and services you need about standards and conformity assessment. CSA Group can get you to new markets with efficiency, accuracy and expertise. We perform the evaluation, testing and certification, and standards solutions your battery and energy storage products require, leveraging our IECEE CB Scheme accreditation (which allows you to access up to 70 countries) and CSA Group’s international certification team to get you to new markets quickly. Our key services include Certification for North American Markets and Certification for Global Markets. We can help you meet requirements for battery transportation as detailed in UN 38.3, the global requirements for shipping lithium or lithium-ion (Li-ion) batteries by air, ground, sea, or rail. Stationary Energy Storage Systems (ESS) can be evaluated under CSA Group’s field evaluations services, helping you demonstrate commitment to product and consumer safety. These services are one-time evaluation programs, typically for low-volume installed systems and custom-engineered projects. CSA Group provides the extensive services and solutions—in lab locations throughout the world—to ensure that your products are tested and certified*, and we make the process efficient and simple at every step. Let CSA Group use efficiency and expertise to test and certify* your cells and battery packs, enabling you to get them to new markets. We are able to test primary and secondary (rechargeable) batteries with chemistries including alkaline, lithium-ion (Li-ion), nickel metal hydride (NiMH), lead acid, and nickel-cadmium (NiCd) as well as newer technologies such as zinc-based and flow batteries. 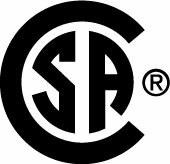 When customers see the CSA Group mark on your battery- powered products, they will know those products have been tested to meet the requirements of applicable standards. As the need for advanced energy storage systems grows, let CSA Group be your partner in navigating the codes, standards, and regulations in place. Let the credibility of our mark support your lithium-ion, lead-acid, flow battery, or other end products. Transportation batteries have to be as powerful as they are reliable—our testing and certification will help confirm that they meet customer and market demands in new markets all over the world. We’ll conduct all the testing, certification, and standards solutions required to get your ultracapacitors to new markets, and we’ll do so with efficiency and responsiveness. Due to the evolving global landscape for electrical distribution, energy storage systems (ESS) are among the fastest growing electrical power system products. See how to keep them safe.